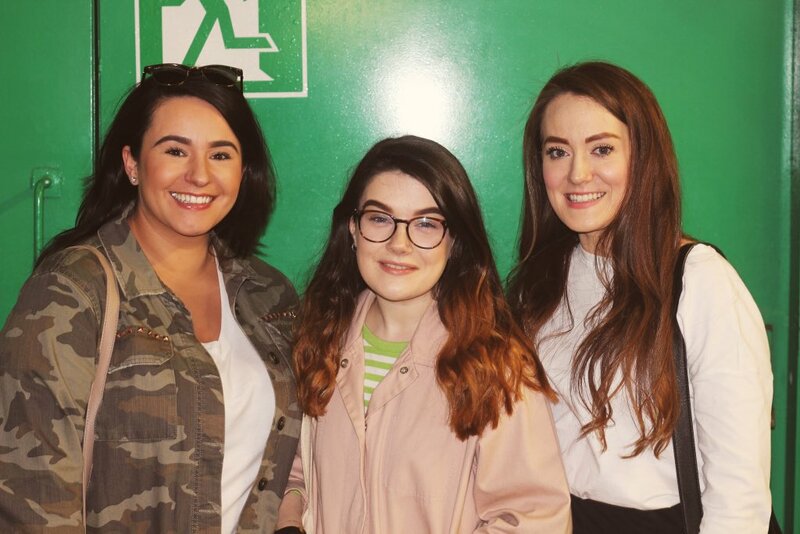 The On The Ball campaign was set up by three Celtic supporters – Orlaith Duffy, Erin Slaven and Mikaela McKinley – with the aim of encouraging football clubs across the UK to provide free sanitary products in the ladies toilets. They started at their own club and quickly established a countrywide campaign. A number of clubs in Scotland and England backed the initiative with Brighton becoming the first Premier League club to support On The Ball. 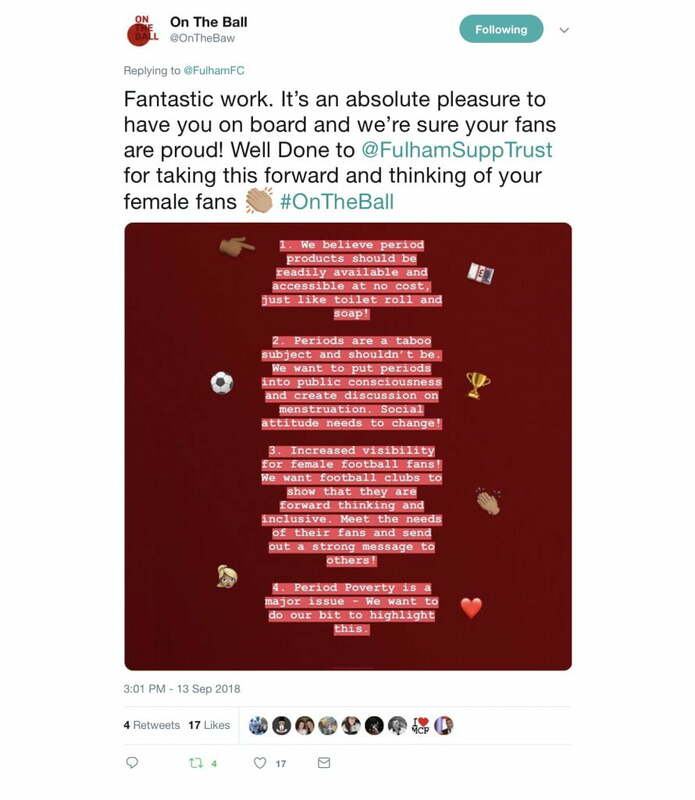 The Fulham Supporters’ Trust was keen that Fulham should become the second Premier League club and first club in London to support Orlaith, Erin and Mikaela. The FST raised the subject at our September 2018 structured dialogue meeting and encouraged the club to take part. We were delighted with the speed with which the club reacted and by the next home game the supplies were available in the ladies toilets around Craven Cottage. It’s great that the Club responded so quickly to this supporter-led initiative. Fulham has so many female fans of all ages, and it means a lot to receive this kind of courtesy and consideration. Supporting this campaign is an important step towards improving comfort and ensuring every fan feels welcome. 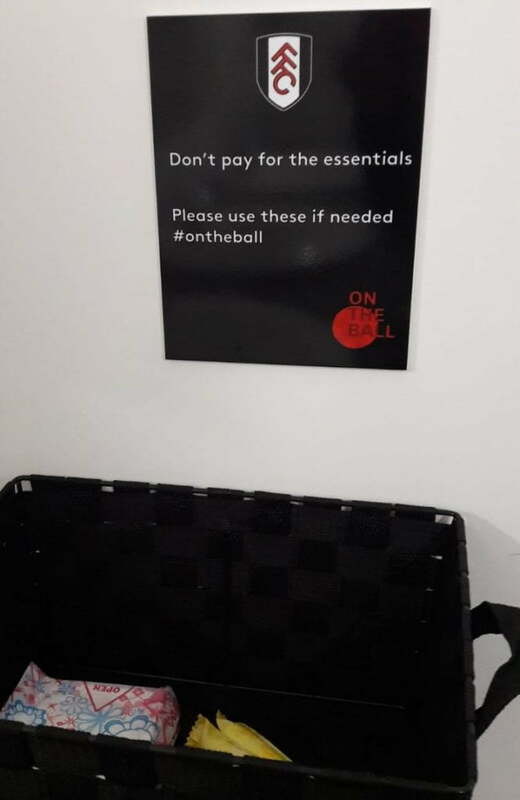 Kudos to the On The Ball campaign and I hope many other clubs join in. The Fulham Supporters’ Trust will always be supportive of ideas and campaigns that seek to make football fully inclusive and welcoming at Craven Cottage. You can find out more about the On The Ball campaign from the Twitter account @OnTheBaw.